RIM's BlackBerry range is the most successful smartphone platform of 2010 in the UK, according to data by GfK. 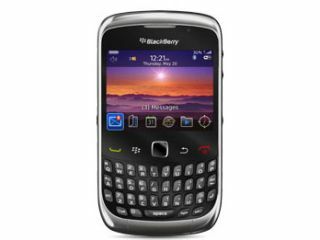 RIM is bragging about its performance over the busy Christmas month, with nearly one in two pre-pay handsets being a BlackBerry, and nearly one in four contracts the same, with the likes of the BlackBerry Curve 8520 and new BlackBerry Torch proving enticing to customers. Popular apps are also helping things out too: there are 33 million users of BB Messenger worldwide, which is a 500% increase year on year – and RIM is claiming it's number one for Facebook engagement and Twitter downloads too. However, while the performance is certainly stellar for December, it should be noted that RIM hasn't provided 2010 overall sales category breakdown data – its high smartphone market share is likely tempered by the fact that many people will only be buying the likes of an iPhone on contract and not pre-pay. And while RIM's BlackBerry App World has grown 60% since Q2 2010, it still only harbours less than 17,000 applications, whereas the likes of Android and the iPhone are offering well over 200,000 apiece (although the quality of some of these, especially on Google's OS, is a little suspect at times). Despite all that, nothing should be taken away from RIM's BlackBerry performance; with the smartphone market hotting up almost exponentially, leading from the front of the market share race is always going to be easier than having to push your way through the pack.